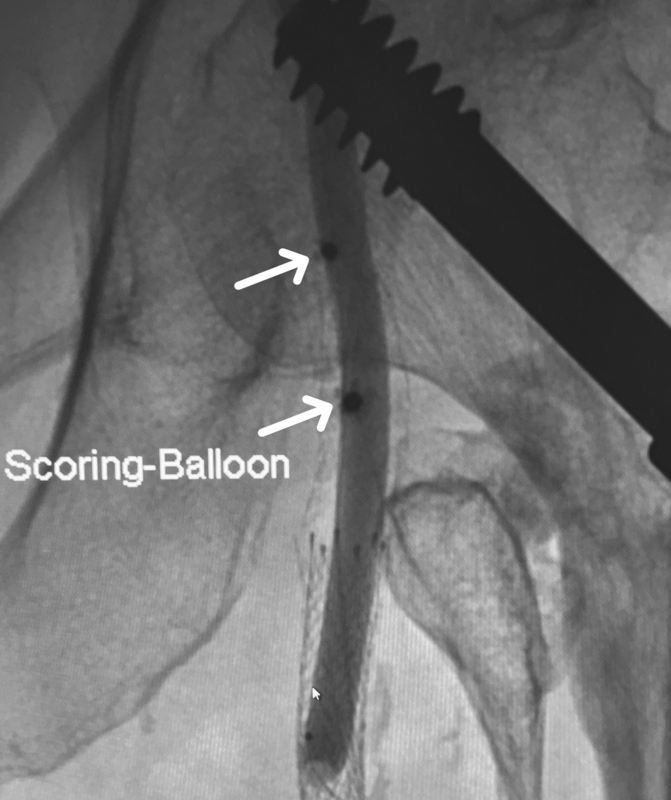 Calcified Artery Closure in Peripheral Cases. 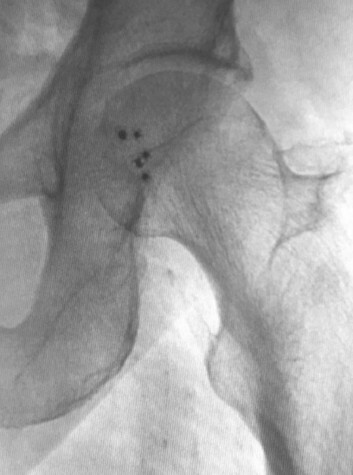 Two previously deployed Celt ACDs (indicated by arrows above) in a vessel with an inflated Scoring Balloon for angioplasty of femoral stent. 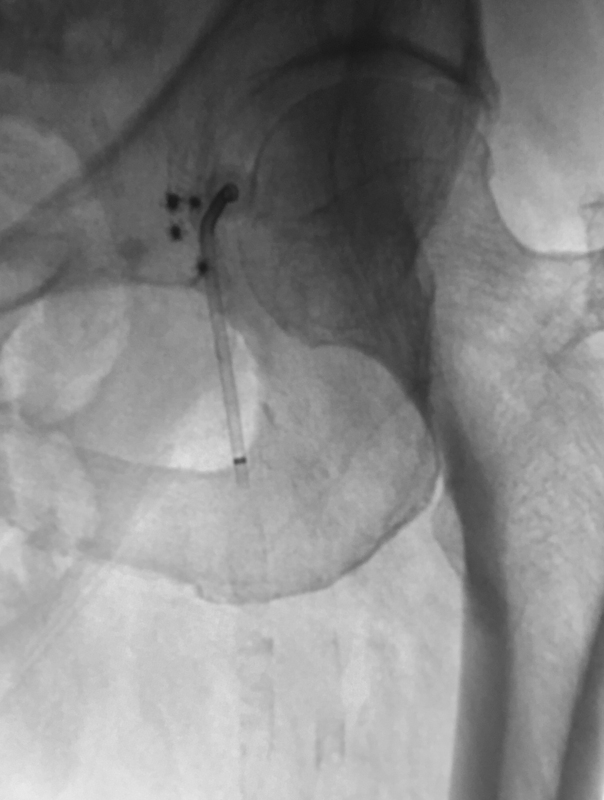 Ante-grade puncture in calcified vessel previously closed by Celt ACDs following multiple procedures. 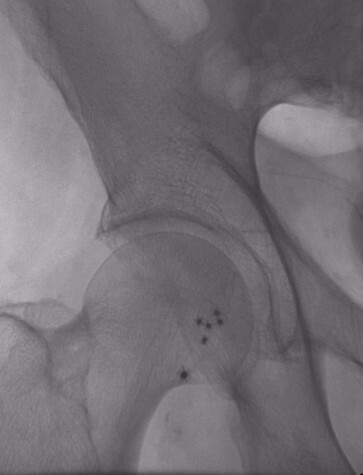 Celt ACD® allows multiple immediate re-sticks in calcified arteries. Celt ACD® is located in the arterial wall not in the circulation. Puncture sites closed by Celt ACD® are completely healed at five weeks or less and covered by endothelium. 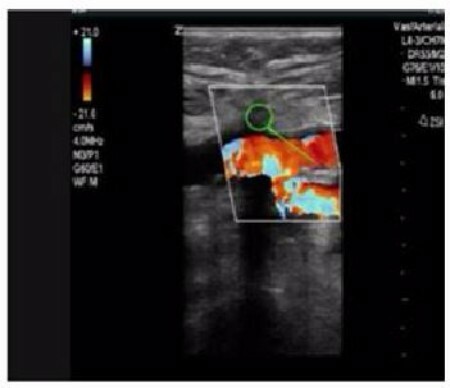 Celt ACD® (indicated by the green circle above) is in the arterial wall and not in the circulation as seen on ultrasound of bifurcation of femoral artery.